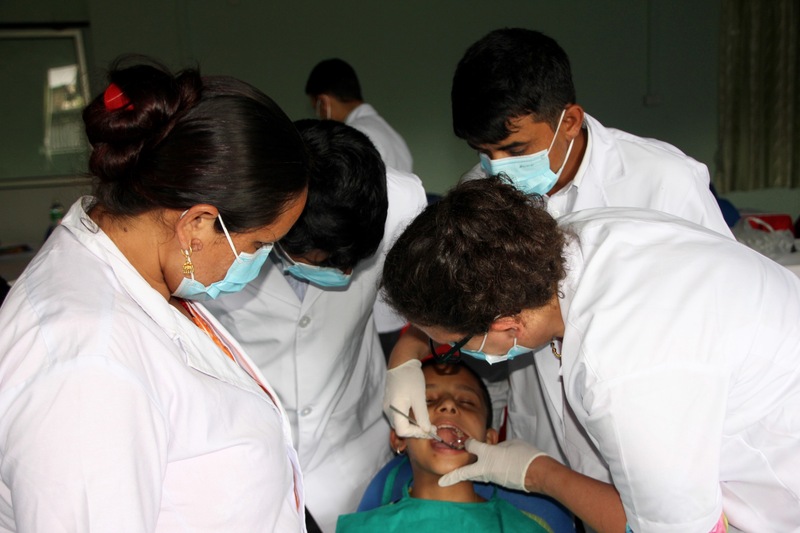 Last winter, for the first time ever, we had foreign dentists meet our technicians, supervise them treating patients in the field, and assess their treatment outcomes. 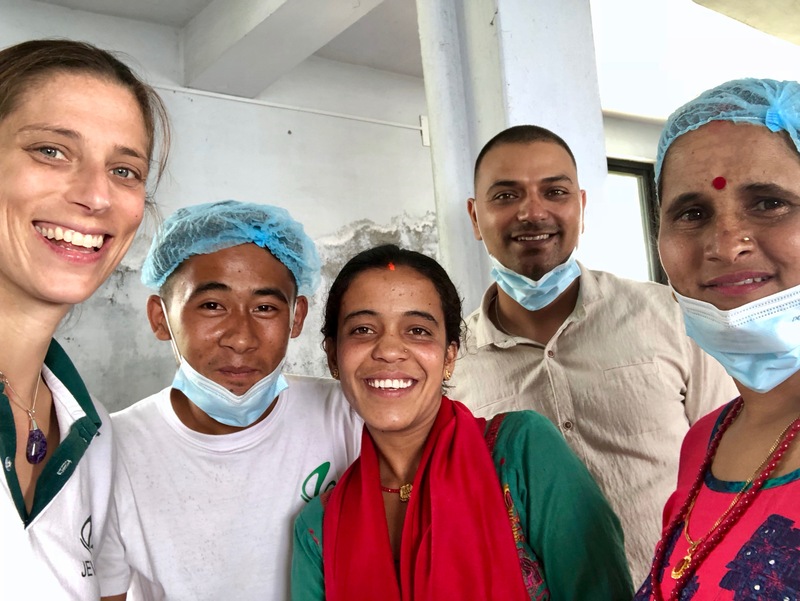 This has been an enormous opportunity for us as an organization and for our technicians who are working hard to provide the only dental care in their villages. 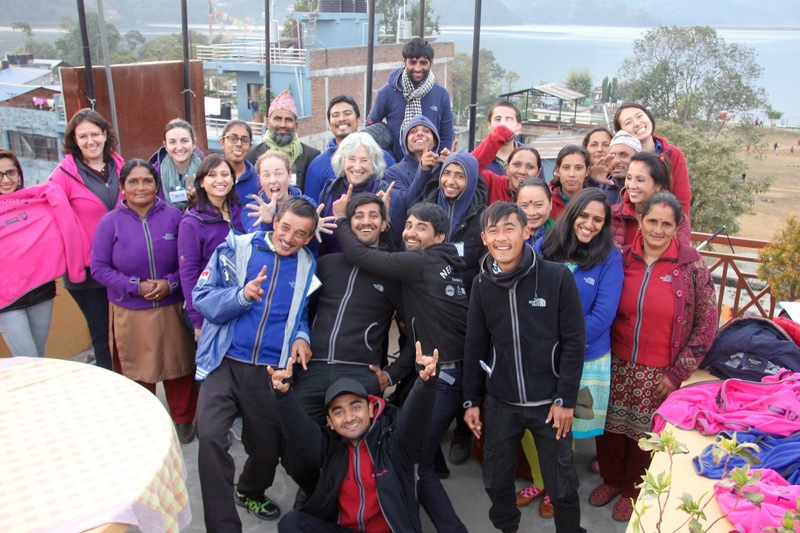 This week, we had Dr. Keri back for a second training based on findings from last winter. 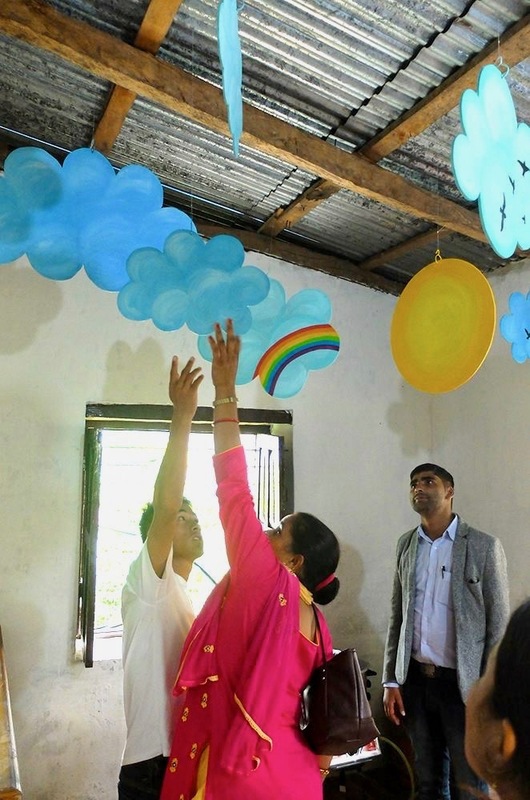 Our refresher training included two days of classroom work and a one-day treatment camp at a school. Keri covered topics related to infection control, pain diagnosis, pediatric behavior management, informed consent, treatment planning, and charting. 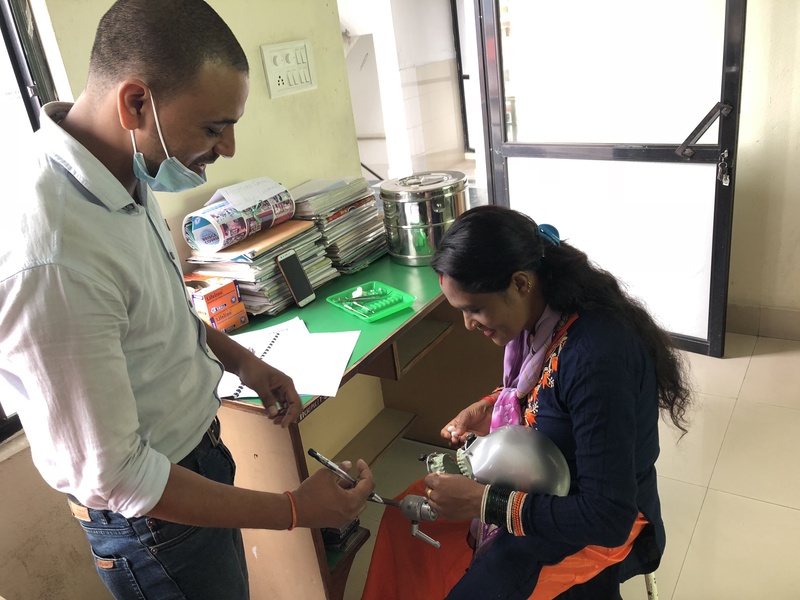 Based on the results of our study of treatment outcomes in fillings placed by our technicians, we introduced a new instrument used to prepare a tooth for a restoration. On day two, we had a few patients come in for practicals, including Aidan and Pascal. 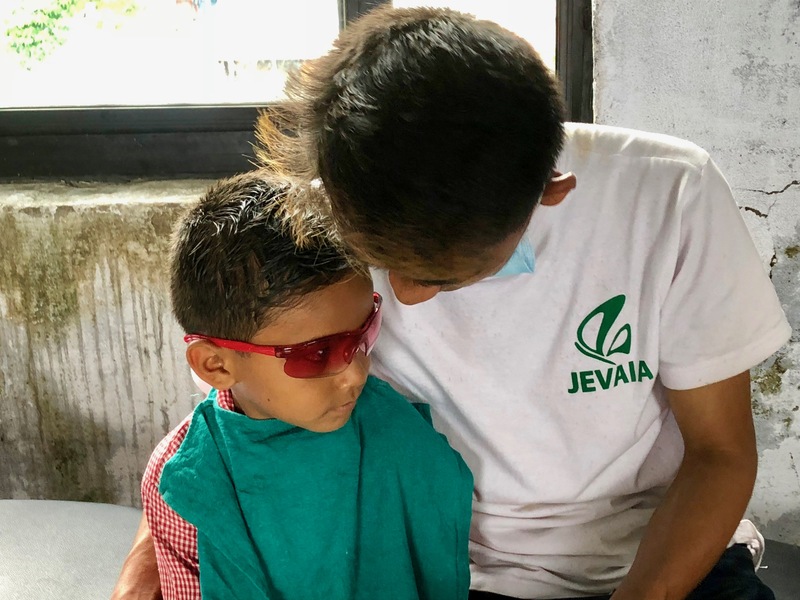 On day three, we treated about 100 children and adults with supervision from Keri and from Dr. Kafle from our referral hospital, Kantipur Dental Hospital. This gave the technicians and assistants a whole day to apply the concepts from the classroom training to many different types of patients. I was worried we might not have enough patients during summer vacation…but that was definitely not a problem. 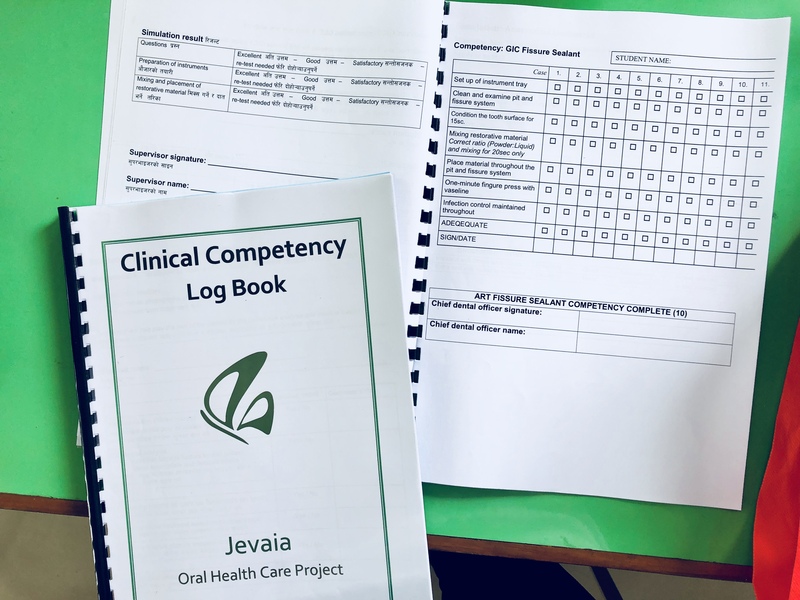 Over this last year, I’ve realized how far JOHC has moved in to new territory in the oral health care world in Nepal, and really, in to the health care world generally. 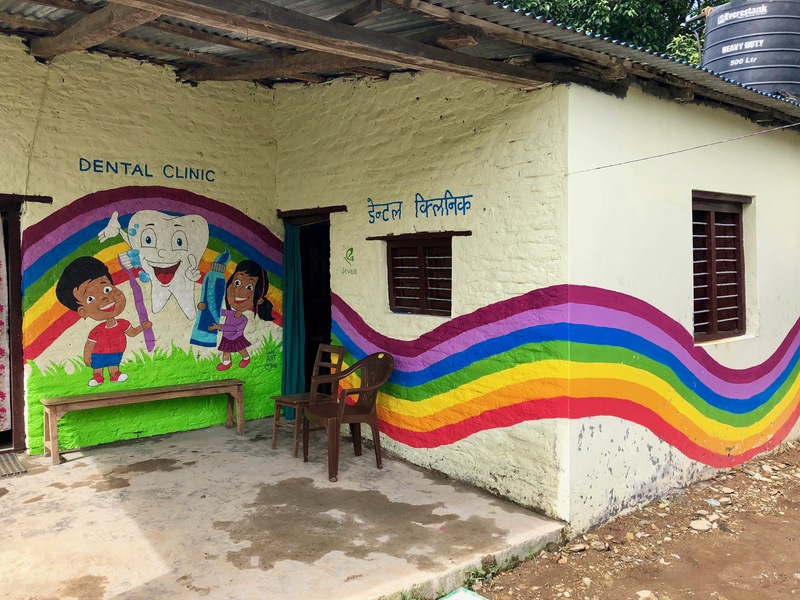 I’ve come to appreciate that our technicians are true specialists in low-resource dentistry, with training and institutional support that has allowed them to venture in to realms of sophistication not typically expected of providers serving the rural poor. I’ve always been committed to making sure their scope of practice remains safe and appropriate, and at the same time, I recognize that there’s been far less time and money invested in identifying how safe and how good a service can be when the customers are millions of people who cannot rely on reaching a conventional health care setting. Such questions are asked only from the perspective of established institutions and well-funded people in power; that this leads to widespread, unnecessary suffering for the vulnerable is very obvious. The other side of the same coin is that it inadequate services can be easily excused because they fit a conventional mold. While Keri was here, we took time to visit the dental section of the public hospital. We met some great doctors, many of whom are only one or two steps removed from hospitals or people we work with. But they are working in an underfunded environment with rusted instruments; we observed numerous breaches of infection control in our short 20 minute visit. 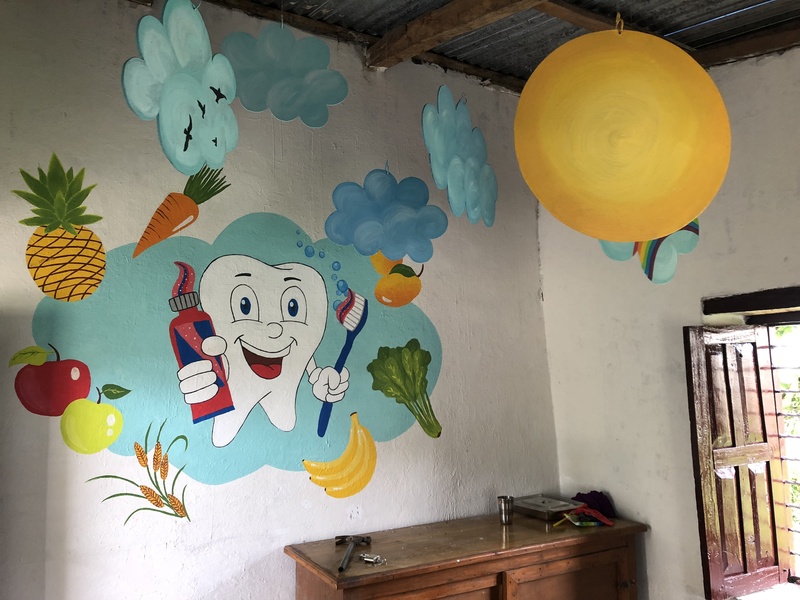 The sanitation and safety measures used in our rural clinics are significantly stronger than those we saw in the dental ward of the hospital, even though we are working in a much simpler setting. Why? 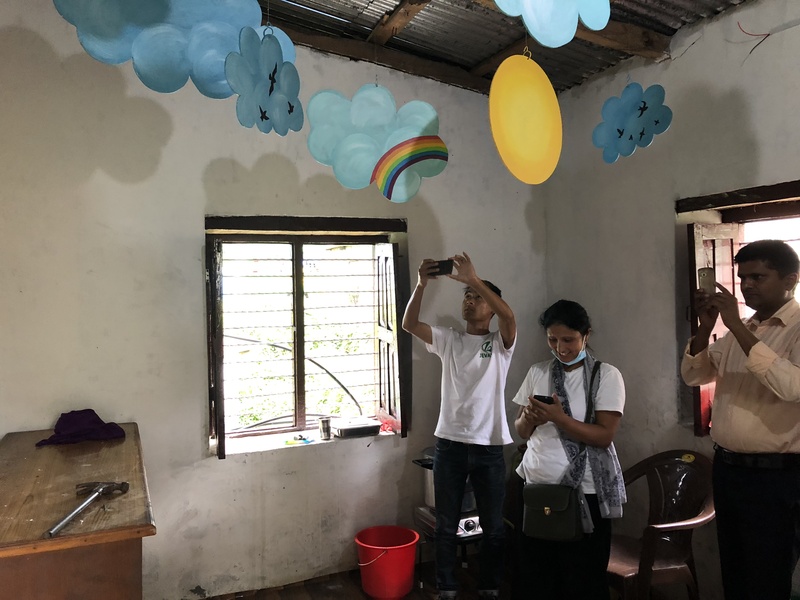 Something else that’s magical about this newfound opportunity for more training and collaboration is getting to know our field staff better, and as a group. 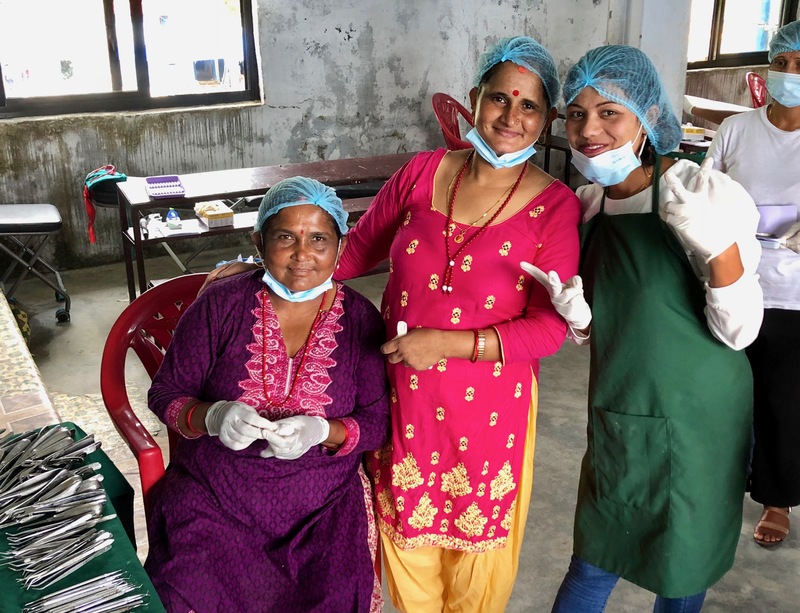 Our clinic assistants – all women (also, on all of our teams, either the technician or team leader must be female) – are these incredible women who tend to listen quietly and then, with very little fanfare, make everything run smoothly. Without them our infection control protocol would be hash. They are always the first people to show up at a training or field program. 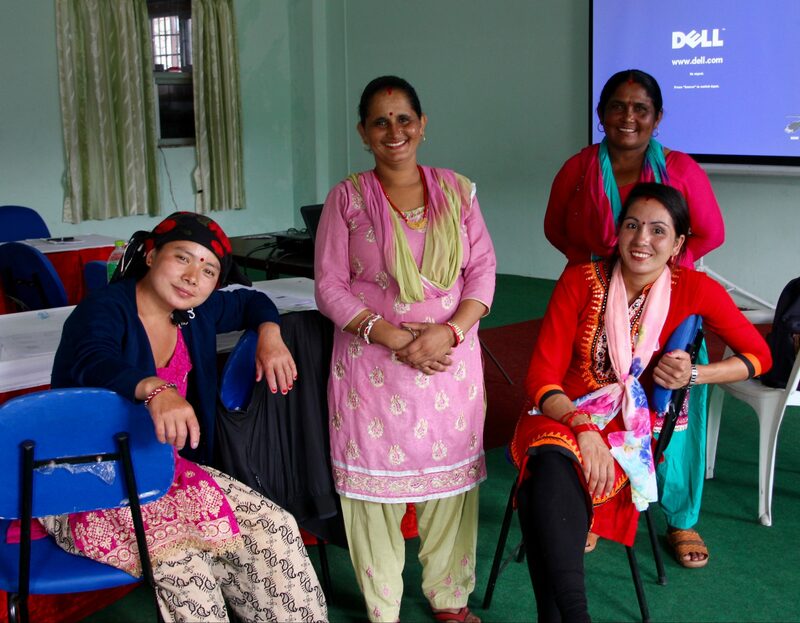 Biju is raising four children and managed to complete the rice planting in her fields the day before she made the six hour trip to Pokhara from Sindure with her nine year old in tow. Renuka and Pabitra are always smiling, never miss a thing, and both have put in long stretches of work without pay while we straighten out agreements with their local governments. 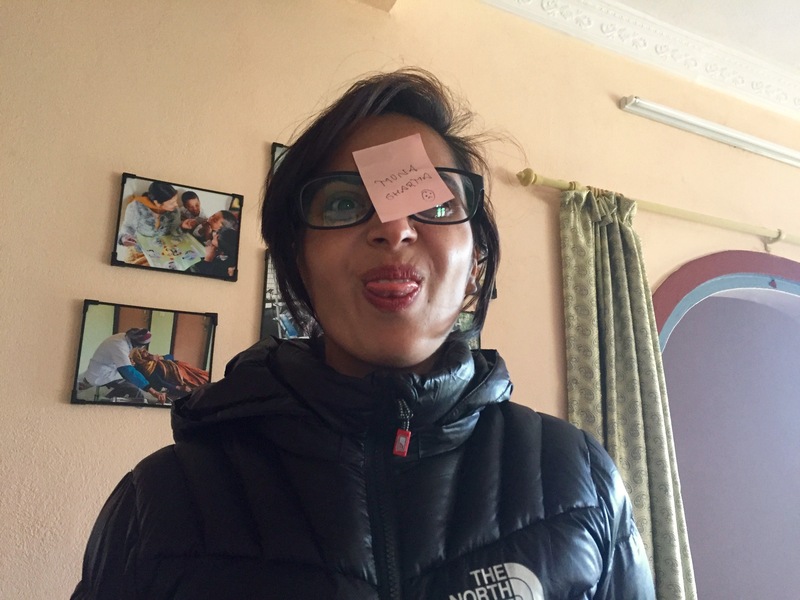 Sita is upbeat, diligent and ready to toggle between different roles without being asked. They are just SO AWESOME. The troops have descended. I woke up and headed down to the pair of hotels that are housing our mob. 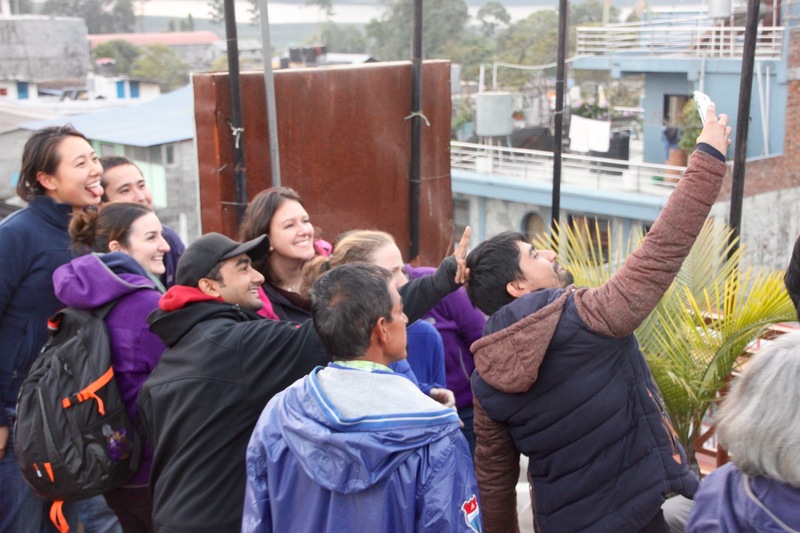 One one side of the street is a group of twelve people from UC Berkley, UCSF, UConn and UP in Cambodia. The group includes three dentists, a pediatrician, and a gaggle of dental and undergrad students. Across the road is almost our entire JOHC field staff: 6 technicians, 5 clinic assistants, and 5 team leaders covering nine villages. I stopped in both hotels to make sure breakfast was happening and then went down to our training hall about 10 minutes before we were scheduled to start. Naturally, I found that the hotel staff had just begun to clean the hall, and that this process involved spraying copious amounts of air freshner in to a room with large, closed windows. I requested a halt to the air fresher and opened the windows, which looked pleasantly out over the lake. It was crazy watching everyone filter in to the training hall. I know all our technicians pretty well, but the team leaders and clinic assistants I don’t see often besides in photos. 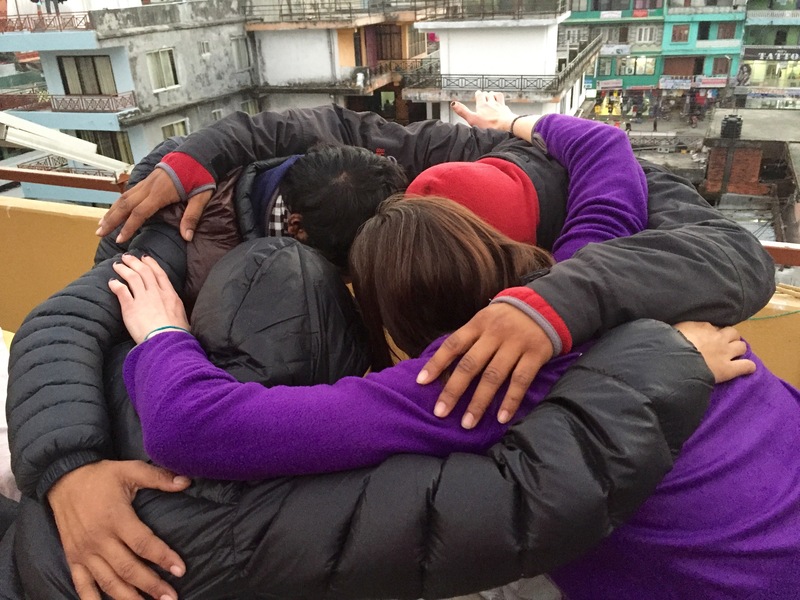 I’m only in Nepal for 4-8 weeks at a time and there’s no way to get to every site during every visit, so sometimes I won’t see field teams for over a year. And the technicians collaborate with each other at big school programs, but the rest of the field teams don’t get many chances to see each other after their initial training, and even then, usually only in the cohorts they started with. 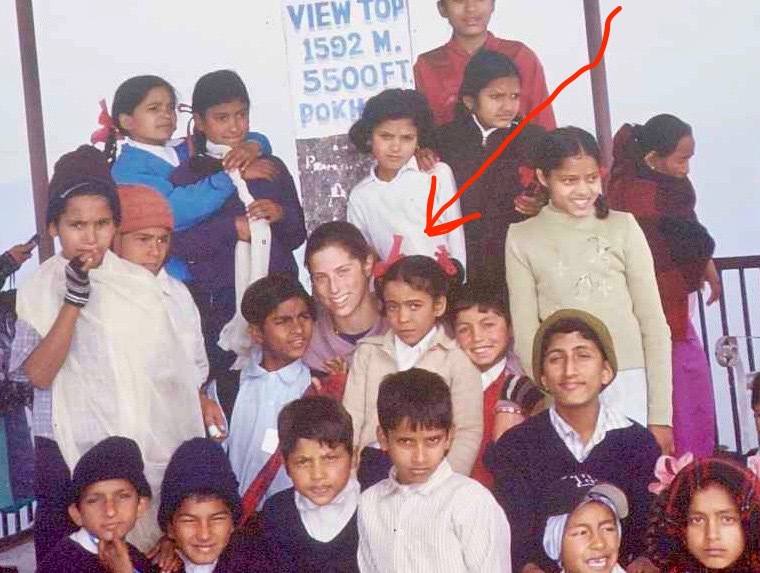 Then, on the other side of the equation, I’ve spent a lot of time on email and skype with all the people from the universities, but the only person I’d met in person Dr. Keri from UConn. Now here was everybody, all together, in a very air-freshened room, sitting down in actual chairs. We immediately encountered a projector obstacle. Namely, the projector was not working. 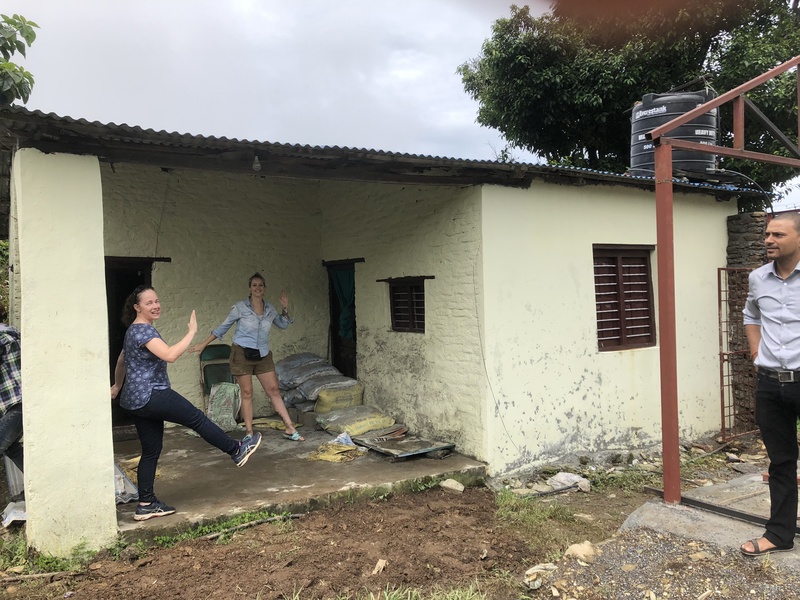 Dr. Karen got everyone occupied with an introductory activity while I frantically tried to deal with the projector, which eventually led to a hotel guy running down the street with admirable good-will (he might have been fleeing from the crazy American going WHY? WHY ISNT IT WORKING WHYYYYY?) to have someone swap out a cable, while 40 people were distracted on a scavenger hunt looking for other people who had never had a cavity or who inappropriately eat sweets for breakfast. The projector obstacle went through a number of other iterations that I’ll skip; eventually, it worked. 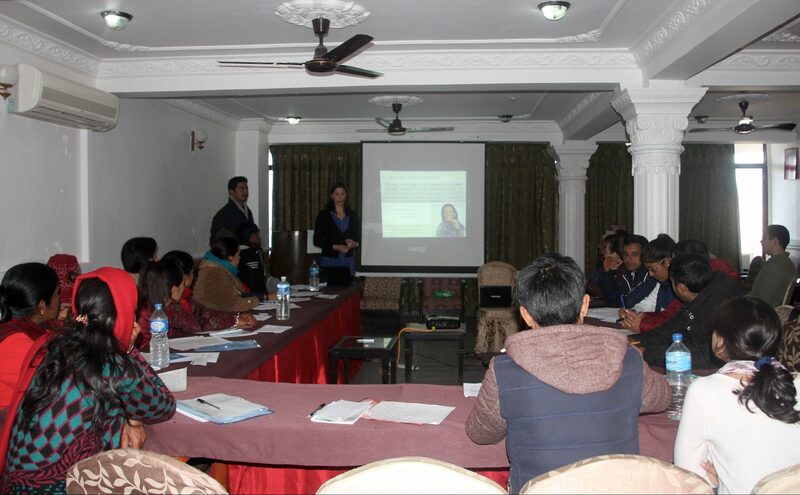 Aamod and I gave a presentation on our JOHC model and human-rights health care for the visiting research teams. 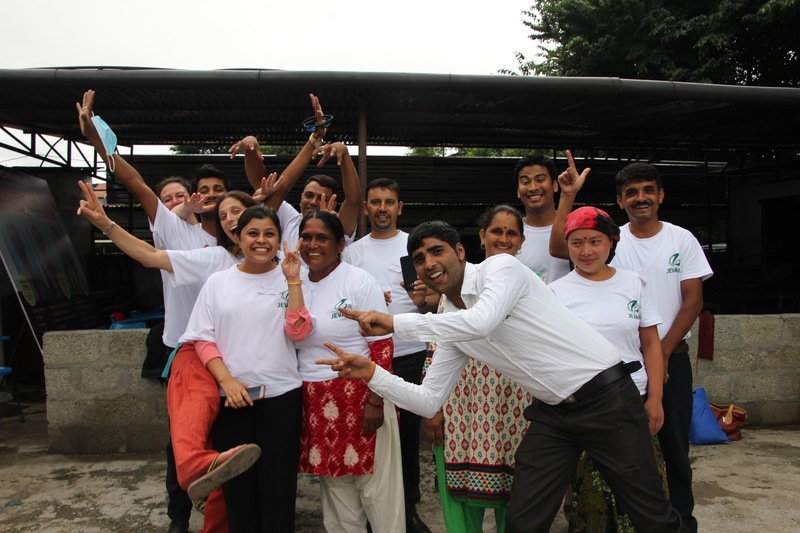 It was really fun to see our field staff get excited when photos of their clinics or programs came up on the screen. 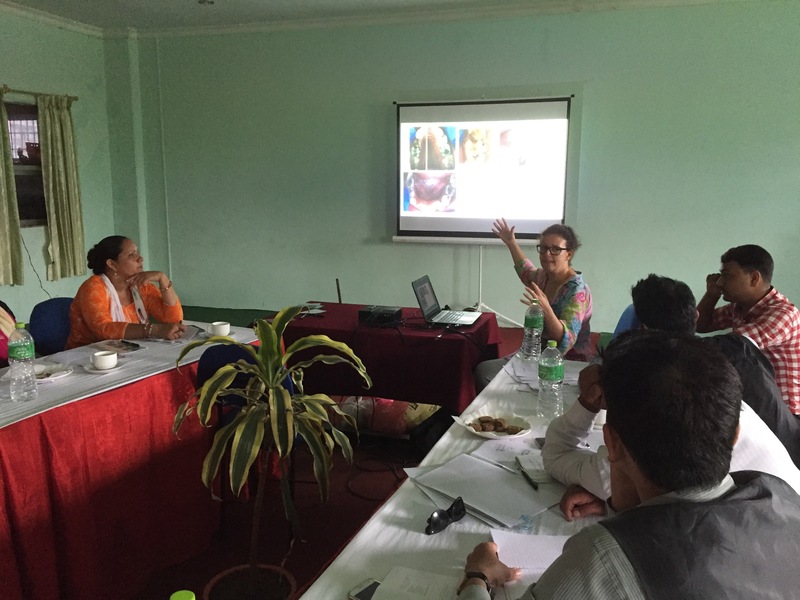 Then Madhurima and Karen presented on the relationship between nutrition and oral health, which was super interesting and will make great material for our teams to incorporate in to their school education programs. After lunch we split in to two groups. 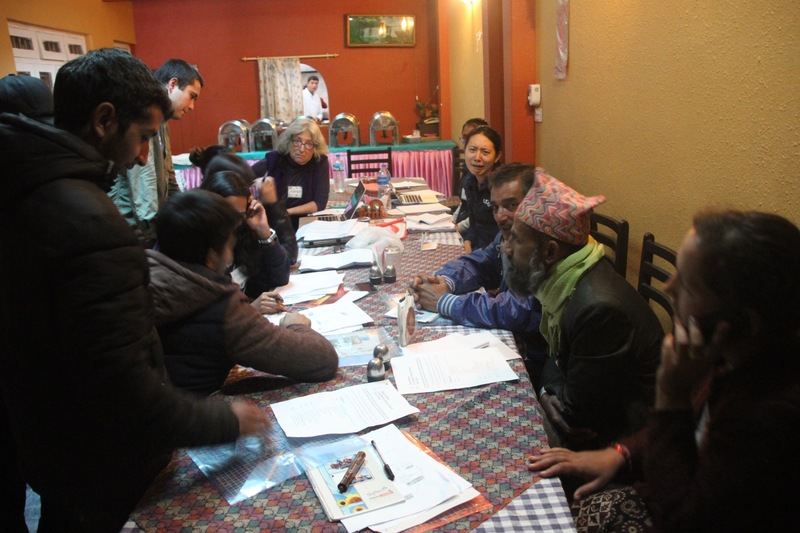 Our team leaders went with Madhurima and Dr. Karen to learn how to conduct surveys tomorrow. I am pretty sure from the one photo I took and the minute I spent watching that this involved a lot of everyone trying to figure out what everyone else was saying, which I’m sure will work out just fine. 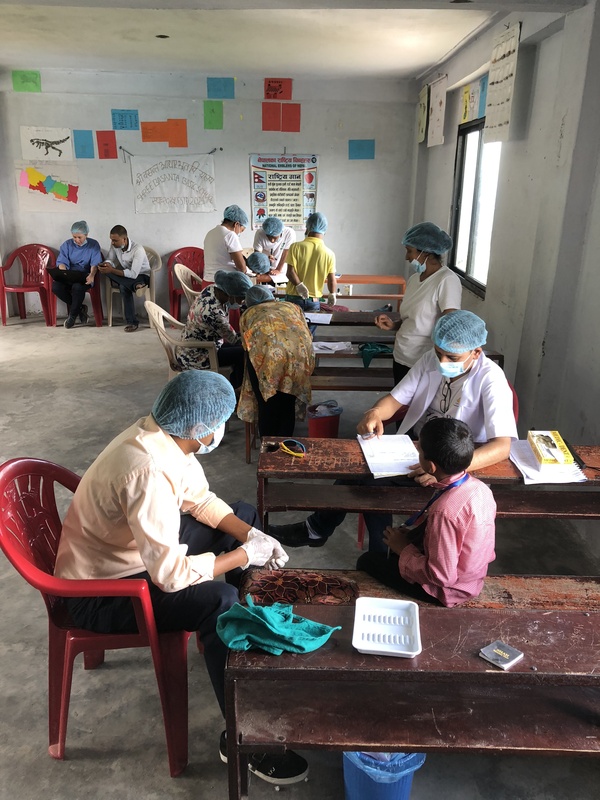 They’ll be assisting the UCal group with a study of oral health practices and nutrition, and we set up some of the screenings in Puranchaur where we operate, and then in one of our non-working areas, Hansapur, to see if there are any differences between these two areas in oral health knowledge or practices. 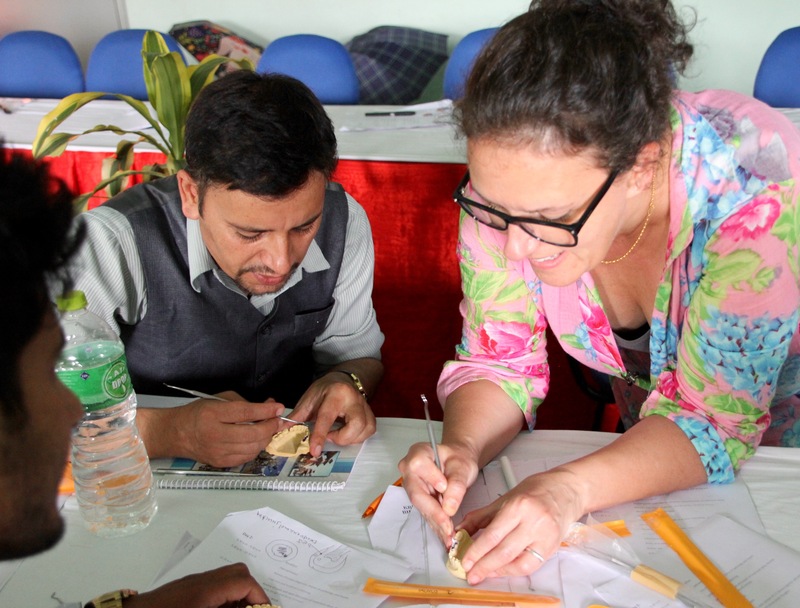 While that was going on, our technicians and clinic assistants had an amazing training with Dr. Keri, a pediatric dentist at UConn, and Dr. Bethy from New Zealand, who is doing her PhD in Cambodia. 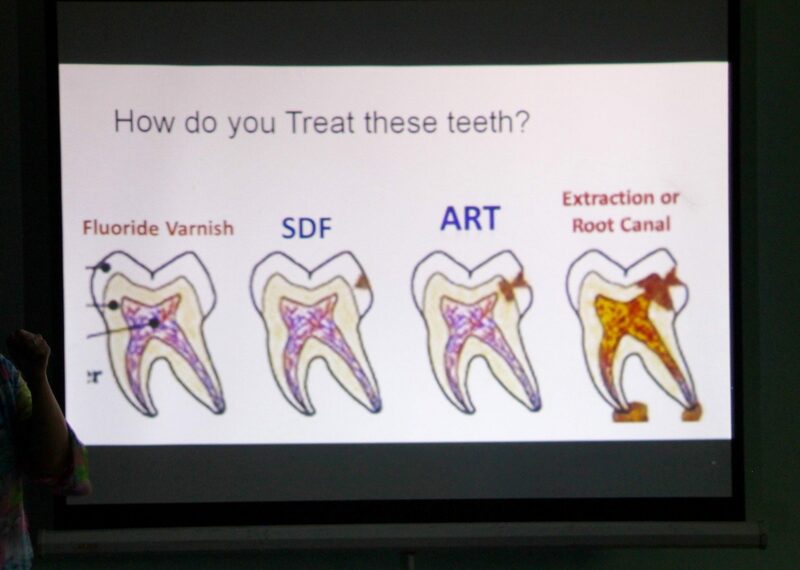 They had an in-depth orientation on pain diagnosis, and then learned techniques for fluoride varnish and silver diamine fluoride, a substance which is used to arrest carries with no invasive techniques or anesthetic. 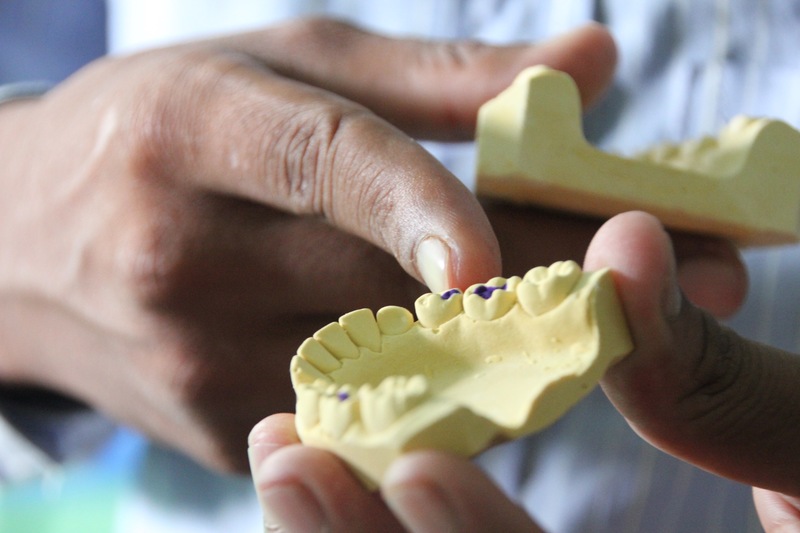 During the upcoming screenings this week, our technicians will begin using these techniques under supervision, in addition to the fillings and extractions they already do. So while this was all happening, we encountered a fleece jacket situation. I realize you feel that there are many reasons to believe we had overcome all components of the fleece jacket situation. I understand how you feel. I really do. But by late afternoon, we still had no jackets. Also, obviously, there was a random shutdown of travel in the middle of the day in one part of the city, so the Man In Charge of the Fleece Jackets couldn’t get to his printing factory. Because, these things happen. They really do. Oh Muna, bless your heart. Back to pain diagnosis. Muna and Gaurab got the jackets, using the magic and unknown powers of being not me. Five PM. Photo op! Selfies. Also staff hug. We survived training day!